The Irene Dunne Project: Detour - Irene Dunne And "Show Boat"
Irene 1929 in "Show Boat"
A few years later, in New York, a blue hat did it again. Any young girl aspiring to a theatrical career held Florenz Ziegfeld in awe. When I found myself riding in a lift with the great showman, I was too much too frightened even to look at him, much less get off at the same floor. Imagine my surprise when a few minutes later, I discovered a young women calling after me. "Stop, stop," she called, "Mr. Ziegfeld wants you, you, the girl in THE BLUE HAT!" Show Boat was the result. Anyway, blue hats, just a simple audition or whatsoever, all of this would have ended in nothing without the needed talent, skills and ambition, and certainly not in a long term Hollywood career. Beyond the fact that her participation in Show Boat proved to be the decisive step towards a Hollywood career, Irene had a personal, emotional approach to the subject of life on the Mississippi and steamboats. Her father, Joseph Dunn, was a supervising inspector of steamboats and one of Irene´s fondest memories of her childhood was a trip with her parents she made down the Mississippi from St. Louis to New Orleans. Irene´s father is described as a wonderful story teller, full of exciting stories on the life on the Mississippi and Ohio Rivers, and knowing every boat and bayou. Joseph died when Irene was only fourteen, but nonetheless he proved to be a formative influence for the daughter of his. Miss Dunne, surely not the most outspoken person when it came to her personal life, spoke frequently about him – a sure sign of his importance. Perhaps this very personal background and the fact that Irene knew the musical “Show Boat” backwards, are the reasons why she didn´t like the film very much. 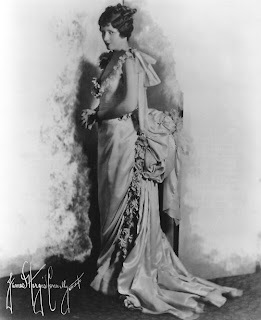 She certainly had definite ideas about this production, and in her opinion James Whale was “more interested in atmosphere and lighting and he knew so little about that life” and she added “No, I never cared for Show Boat (the film), but I thought the stage production was one of the best things. The score was marvelous, but even the book could have stood up on its own.” (interview with John Kobal, 1972). This is something I regret, but Miss Dunne´s dislikes put aside, the film made the number 24 of the American´s Film Institute´s list of best musicals in 2006, and a place on my personal list of favorite Irene Dunne films. If it was Irene’s blue hat or her pure talent which let her win the part as Magnolia in the road company of Show Boat, I’m more than happy she got the opportunity to play the part and wasn’t lost to a life as the little housewife. :) Gosh, what we would have missed without her magnificent performances. Thank you, Irene Dunne. Susanne,I have to get personal and reveal something embarrassing here-I've never seen this version all the way through (not because I didn't want to! )but because I had to go back to work. I have seen the remake from the 50's which-only very intermittently-touched me, but I still couldn't understand what all the fuss was about-why was this such a classic? And then a group of actors and actresses from the stage version of the play stopped in late one night after a performance, and I really "got it"! Just funny 'show people' having a good time and stuffing their faces after a hard nights work. It was not lackluster, and it did not look like an "early talkie". Sad to say, Ms. Dunne was wrong about this film. If there was anyone who ever understood the customs and the authentic look of that period, it was James Whale. The acting was magnificent, as magnificent as the singing, and despite some changes, it is far more faithful to the show than MGM's 1951 version (or the 1929 part-talkie, for that matter).